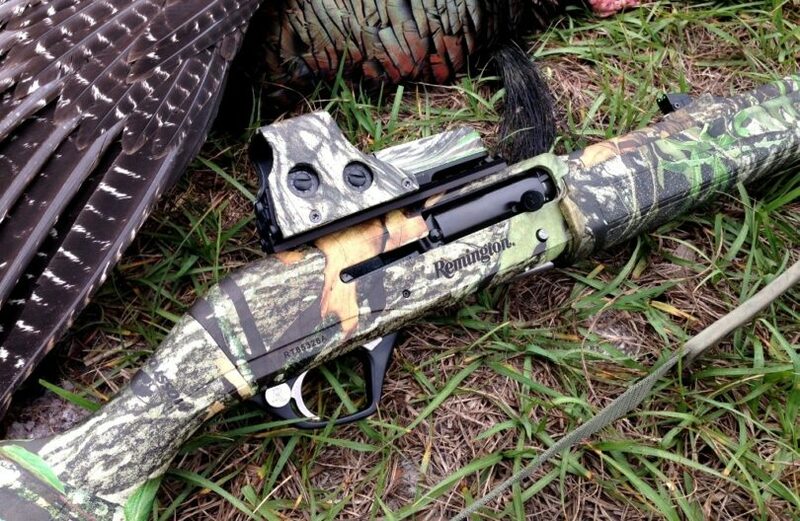 Would you agree that the best shotgun red dot sight goes a long way in perfecting a shooter’s confidence? You will probably agree with us when we say that aiming with a shotgun has never been easier with a well built and high performing red dot sight on the rail. But, how to choose a red dot that is compatible with your shotgun and suits the prevailing conditions? 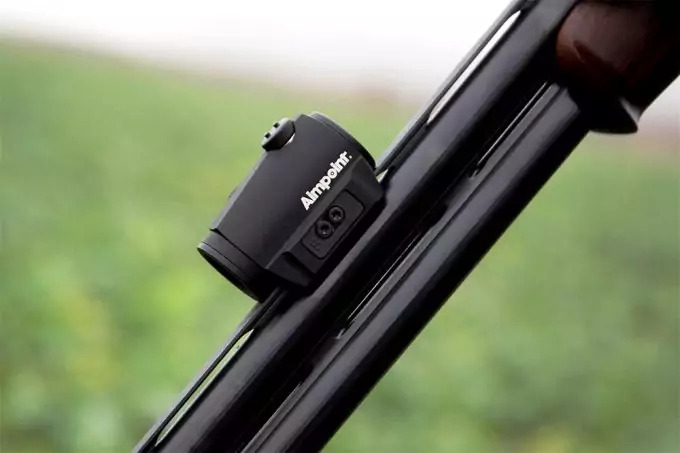 These aiming gadgets are available from different companies; therefore, you should expect them to differ considerably in terms of features and performance. This is why we have prepared this article to simply the search for you. In this article, we have shortlisted and reviewed 8 of the best products that the market has to offer. You can use this information to compare products and prices before making your purchasing decision. Anyone can shop for a red dot sight for his or her shotgun. However, finding a model built for remarkable versatility and top tier performance can be particularly overwhelming. The following buying tips should help you with your search. 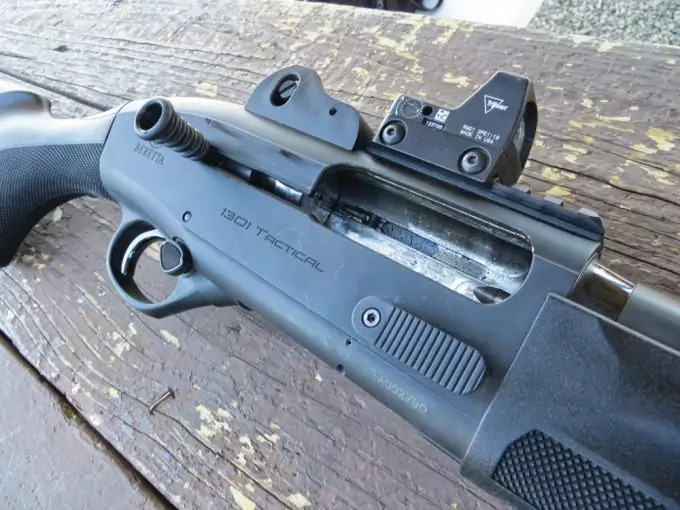 There are three types of red dot sights you can choose for your shotgun, including the holographic sight, the tube type, and the tubeless type. The tube type looks like a rifle scope and can be mounted in a similar manner as a rifle scope. The holographic sight is more compact and lightweight, but it may not be the ideal choice in extreme conditions. This is so since it may be difficult for you to keep the optics clean for a clear view of your target. The holographic sights are also not exceptionally rugged and durable. 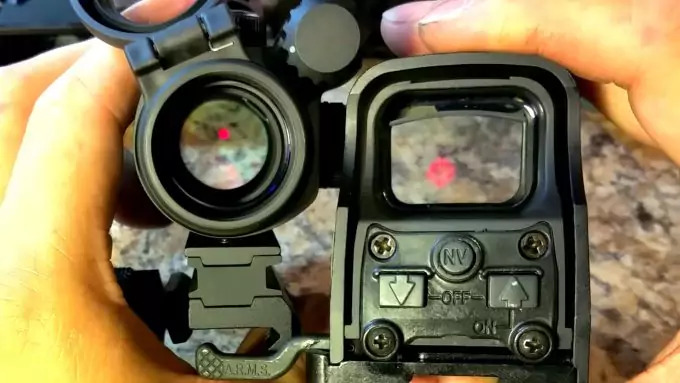 The tubeless red dot sight design has a wider lens, similar in size and shape to that of a holographic sight. The best tubeless dot sight will have a 33 mm lens aperture with a reliable and wide field of view for superior performance. As mentioned earlier, you can choose between a holographic, tube, and tubeless dot sights. However, the three differ considerably with respect to the construction. 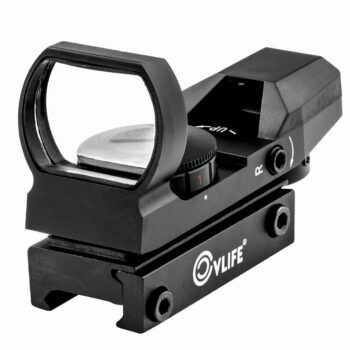 We recommend you to choose a dot sight made of aircraft grade aluminum alloy for durability. Fogging is always one of the biggest challenges for any shooter. 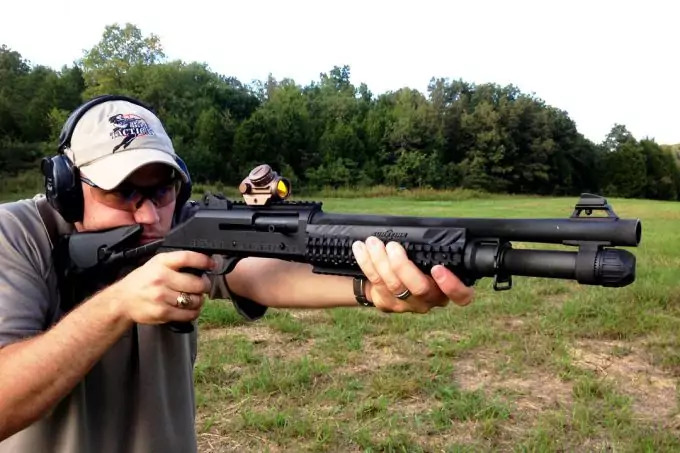 Therefore, choosing a shotgun reflex sight that is filled with dry nitrogen is a good idea. This will keep the optics/lens of the dot sight from fogging under extreme weather conditions. We have discussed specific features that come with different models in the product reviews section below. The size of the red dot plays a big role in the general performance of the dot sight. There are models with a fixed dot size; while there are others with a variable dot size. Choose wisely depending on your preference and convenience. Apart from the dot size, consider the reticle pattern. Some models come with a single pattern while others come with multiple patterns (dot, circle, crosshair, or a combination of any of the two). More than one reticle patterns offer unlimited eye relief. The performance of a red dot depends mostly on the integrated optics. High quality lens will enhance superior light transmission for better viewing. However, you will achieve greater performance in different light conditions with adjustable brightness. You can achieve this when you buy a red dot sight with an adjustable rheostat for effective brightness control. The number of brightness levels will differ from one model to the next. Some may have 5, while others may have up to 11 brightness levels. The last and most important consideration that you must always make to guarantee yourself better performance is mounting. Different red dot sights have different mounting options. Some may even require you to buy a separate mounting gear. The most popular mounting options are: integrated weaver style system; built in Picatinny mount base; and built in dovetail rail for standard weaver style bases among others. Choose wisely depending on your shotgun. 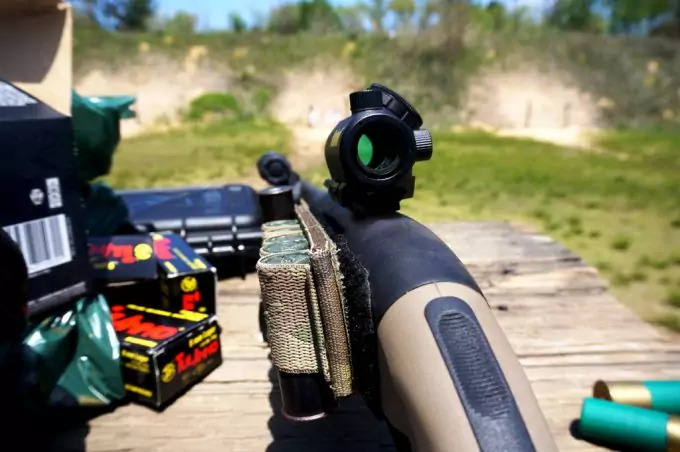 Knowing what to look for when shopping for a shotgun reflex sight does not necessarily mean that it will be easy for you to shop for the highest performing model. We have solved this problem for you by shortlisting and reviewing eight products that come highly recommended by shotgun users. 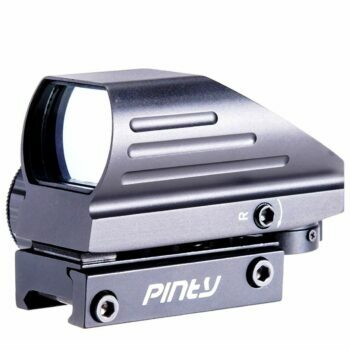 The PINTY Red and Green Reflex Dot Sight is well known for its durability. It features an aircraft grade aluminum alloy construction that is less prone to damage making it durable. The aluminum construction also allows you to easily clean the gear. It is waterproof, shock proof and fog proof improving its performance and making it an all weather gear. It is easy to carry around; it only weighs 0.68 pounds, making it lightweight. You get to enjoy unlimited the eye relief with its red and green reticle that features four patterns and a corrected parallax. It incorporates a tubeless design with a 33mm reflex lens offering you a wide field of view. Upon purchase you get windage and elevation tools to help you in adjusting. It offers added comfort when using it for a long duration by being mountable. It comprises of a built in Picatinny mount base that enables you to remount your sight easily. The Bushnell Trophy TRS-25 Red Dot Sight is among the leading dot sights on the market. It features a crisp, sharp red dot that comprises of amber bright optics that allows you to quickly differentiate the color of your target. It features a control knob that allows you to adjust the red dot settings easily. In order to avoid the sight from being turned on accidentally the gear is designed with some resistance in the control knob. 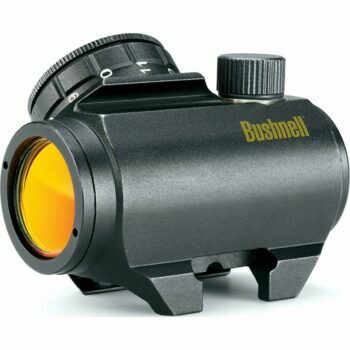 It incorporates multicoated optics that allows you to see your target clearly even in low light conditions. You can easily use the sight with both eyes meaning that its eye relief is unlimited increasing your awareness about the environment and offering you a fast target acquisition rate. Its parallax free design does not require centering and the dot is able to follow the movement of your eye but still remains fixed on the target. The dot sight is also able to provide you with a full size performance even in reduced size and low light conditions. It is mountable and can easily mount on any Picatinny rail or weaver style. In order to secure the sight to the rail an Allen style cross screw is used. 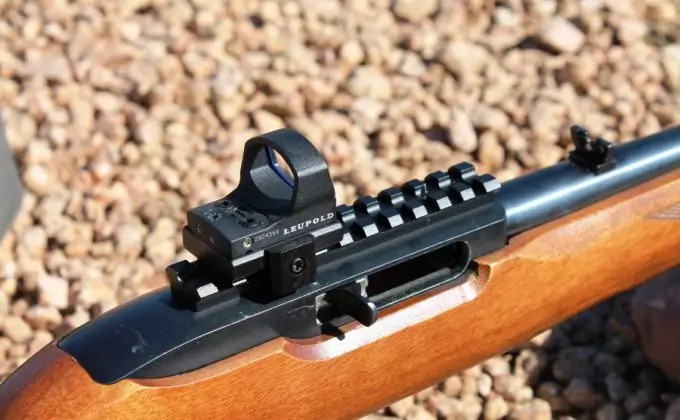 The clamping system provides it with sufficient strength to keep the dot sight mounted securely. It features a construction style that is waterproof, shock proof and fog proof. Related: This product is frequently bought together with the UTG Med-Pro Riser Mount and the UTG Hi-Profile Riser Mount. The mounts help with proper mounting of the dot sight. 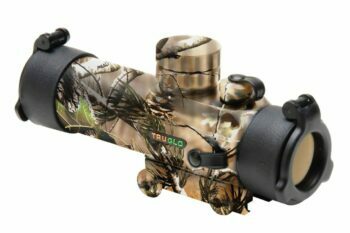 The Truglo Gobble Red Dot Sight is a state of the art gear in the market. Its reticle is specifically designed for turkey hunting. It comprises of a dual color reticle illumination for preference and it only weighs 8.2 ounces for easy carry and usage. The illuminated ring represents a 24 inch circle at 30 yards. It is shock proof up to 1000 g, waterproof and fog proof. You do not have to worry about glare, it is made up of an extended sunshade that is detachable and gets rid of the glare from the front lens. It is fully powered by a 3V-CR2032 battery and in case it requires replacement you are given a spare upon purchase. It features an adjustable rheostat for controlling your brightness levels. You get to enjoy an unlimited eye relief and a wide field of view. It incorporates multi coated lenses that provide you with 98% light transmission. The lenses also offer you bright, sharp and crisp images of your target. You get to enjoy see thru flip up lens caps and high optical quality. It is an easy gear to mount it with its integrated weaver style mounting system. It features a click windage and elevation settings that make adjustments easy and fast. It incorporates a lanyard system that prevents loss of screws, wind and elevation caps. Related: The Truglo Red Dot Sight is frequently bought together with the Mossberg Rail Mount. The rail mount allows for easy mounting the red dot sight. 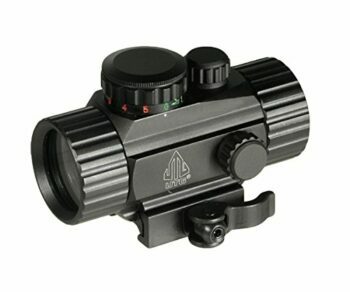 The UTG 3.8” ITA Dot Sight is one of best and cost effective dot sight on the market. It is described as an adaptable dot sight that can be used in numerous types of pistols such as rifles and shotguns. It incorporates a quick detach mounting level that allows you to mount while using for a long period. The mounting adaptability also adds comfort ability and keeps you away from exhaustion. It features flip open optics caps that allow individuals to easily mount it. Its red or green 65 MOA circle reticle and 4 MOA target dot offer you sharp, crisp and vivid images of your targets. By comprising of five brightness settings you are able to adjust brightness levels and be able to use it in various backgrounds even in low light conditions. It features a wide field of view that delivers an unlimited eye relief allowing you to aim instantly and lock your target. Featuring a non reflection high tech Emerald coating makes it easy to clean, maintain and adds to its durability. Related: This product is frequently bought together with the UTG Low Profile Riser Mount and the UTG Med Pro Riser Mount. Both risers allow for easy and effective mounting. The Gero Tactical Dot Sight, is well built gear that is worth its price. It provides you with accurate sighting. 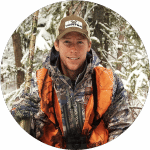 In order to get an accurate sighting all you need to do is hold the zero for long and do more rounds than any other. It features a heavy duty construction that can endure any hit from external objects without getting a scratch. It incorporates four reticles with various reticle settings and adjustable brightness, offering you a good eye relief, bright and clear sight. You can use it in low light conditions due to its adjustable brightness feature. It is an inexpensive gear fit for individuals with a tight budget but not cheap. It is lightweight by only weighing 6.4 ounces, making it easy to carry anywhere. It is easy to use and is designed with a high quality material that is waterproof and shock proof. The high quality design allows you to use it in all weather conditions without acquiring any damage. It features a built in Picatinny mount base that allows you to mount when using it for a long duration period of time. Related: The GERO Tactical Red Dot Sight is frequently bought together with the Ruger 10/22 Picatinny Rail Mount. The rail allows for easy mounting of the dot sight. 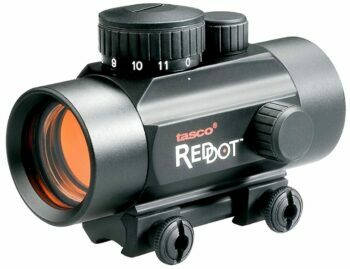 The Tasco .22 Rimfire Red Dot is a unique dot sight for the money. It is described as a unique dot sight that is solar powered. This allows you to use it in areas with no electricity and also saves your battery power at night. It is mainly powered by a CR2032 battery that is included upon purchase. It is an eye catching device that is beautifully designed with a durable construction to last for a long period of time. It features a wide field of view that you get to enjoy and also provides you with clear and extra bright images. With its illuminated reticle that comprises of 11 position brightness controls you get to enjoy using it in all lighting conditions. The 11 position brightness controls allow you to control the level of brightness and use the level you are comfortable with. It can be used in various gears such as shotguns of up to three inches and handguns of up to .357 magnums. It incorporates high quality, Rubicon multi layered and fully coated optics that feature spectacular HD clarity. It is a lightweight gear that weighs 5.9 ounces, making it easy to carry it around. It features a 1 MOA windage and elevation. For easy mounting it features a built in dovetail rail to fit standard center fire Weaver style bases. It does not feature waterproof, fog proof or shock proof. Related: This product should be bought together with the Ruger 10/22 Picatinny Rail Mount. You will use the rail to mount the red dot sight. 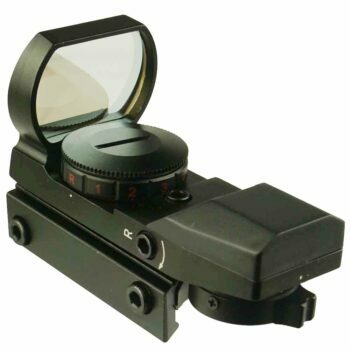 The CVLife Dot Gun Sight is widely known for its quality construction design. It features an aluminum alloy with anodized matte black housing that is durable and less prone to damage. It is a versatile gear that features four different reticle settings. It features a three position rheostat that is illuminated red and green. The four reticle patterns provide you with a large field of view that is unlimited with corrected parallax. Featuring a tubeless design with a 33 mm reflex lens aperture also offers you a wide field of view of 15.8 m at 100 m.
It incorporates anti glare reflective coated lenses that provide you with clarity, bright and sharp images. Upon purchase you will receive one Allen wrench that allows you to easily adjust elevation and windage. Using the gear for a long duration is not exhausting, it comprises of an integrated mount for most 20 mm weaver, RIS rail and Picatinny. It comes in with a rubber protective cover. It only weighs 7.2 ounces, making it lightweight and easy to carry it around. Related: This product should be bought together with the Ruger Picatinny Rail Mount. You can use the rail for mounting of the red dot sight. 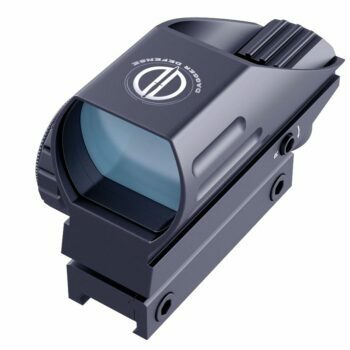 The Dagger Defense DDHB Sight is categorized as among the best sight that is made up of quality features and is affordable. It features a rough and tough aircraft grade aluminum construction that makes it durable and enables it to withstand any conditions. The aluminum construction is not only durable, but is also easy to clean and maintain. It uses a square shaped window that allows it to impose either the red or green dot that mainly acts as a reticle. The red and green dot come in with two reticles each making the sight feature four reticles. It incorporates an optic that is inclusive of various brightness settings that range from dim to bright allowing you to use it in various lighting conditions. It is a lightweight gear that only weighs eight ounces and consumes less space on the picatinny rail. You are able to easily mount it on a shotgun or rifle and also with a little rail space it can be mounted on a large handgun. 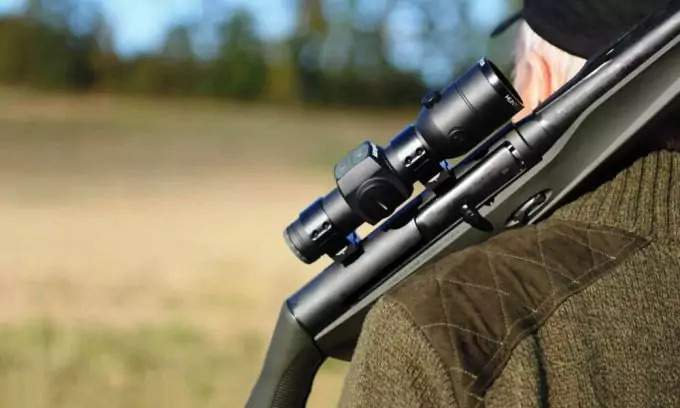 It offers a large field of view of 15.8 m at 100 m. It features locking screws that allow you to adjust your sighting level up to where you are comfortable. It is powered by a CR2032 battery and upon purchase you get an instruction manual and lens cleaning cloth. Related: This red dot sight should be bought together with the ELENKER Laser Bore Sighter. The bore sighter is suitable for the range. The Dagger DDHB Red Dot Reflex Sight brings us to the end of our best shotgun red dot sight reviews. We settled for the above mentioned products after thoroughgoing consideration of the best features, price, performance, and customer ratings. You should know by now that the type of red dot sight you buy for your shotgun matters a lot. 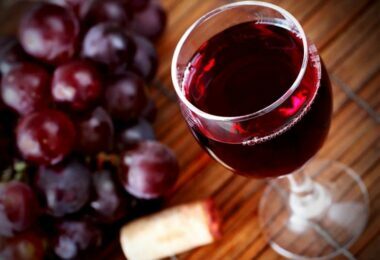 Our suggestions should not limit your choices. You can choose to buy a tubeless type, a tube type, or a holographic sight that best suits your needs. However, unmatched performance and durability should always be your most important considerations. In light of this, a tube sight is more convenient in extreme conditions. On the other hand, a tubeless and a holographic sight will serve you better in favorable conditions. 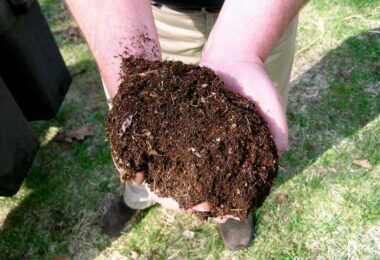 Has this information been helpful to you? Please share your experiences, concerns, and suggestions in the comments section below, and we will join you in the discussion with valuable insights and improvements.